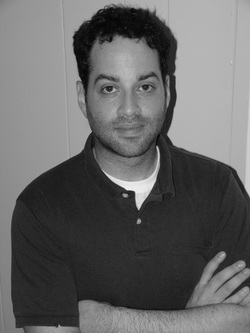 Yaacov Petscher, Ph.D. Developmental Psychology, Florida State University (2009). Director of Research, Florida Center for Reading Research (2009-present). Petscher, Y. Mitchell, A., & Foorman, B.R. (2013). Improving the precision of student scores from assessments by using response times: An illustration of conditional item response theory. Reading and Writing. Al Otaiba, S., Kim, Y.S., Wanzek, J., Petscher, Y., & Wagner, R.K. (in press). Long term effects of first grade multi-tier intervention. Journal of Research on Educational Effectiveness. Solari, E., Petscher, Y., & Folsom, J.S. (in press). Differentiating Literacy Growth of ELL students with SLD from other High-Risk Subgroups and General Education Peers: A Cross-Sectional Study of Grades 3-10. Journal of Learning Disabilities. Kim, Y.S., Petscher, Y., & Foorman, B.R. (in press). The unique relations of silent reading fluency and spelling to end-of-year reading comprehension: Understanding individual differences at the student, classroom, school, and district levels. Reading and Writing. Kent, S., Wanzek, J., Petscher, Y., Kim, Y.S., & Al Otaiba, S. (in press). Writing fluency and quality in kindergarten and first grade: The role of self-regulation, reading, transcription, and oral language as component skills. Reading and Writing. Reed, D.K., Swanson, E., Petscher, Y., & Vaughn, S. (in press). The effects of teacher read-alouds and student silent reading on bilingual high school seniors’ learning and retention of social studies content. Reading and Writing. Rosado, J., Pfeiffer, S.I., & Petscher, Y. (in press). Identifying gifted students in Puerto Rico: Validation of a Spanish translations of the Gifted Rating Scales. Gifted Education International. Petscher, Y., & Logan, J.A.R. (in press). Quantile regression in the study of Developmental Sciences. Child Development. Spencer, M., Wagner, R.K., Schatschneider, C., Quinn, J., Lopez, D., & Petscher, Y. (in press). Incorporating RTI in a hybrid model of reading disability. Learning Disabilities Quarterly. Guo, Y., Justice, L., Tompkins, V.L., & Petscher, Y. (in press). Classroom age composition and vocabulary development among at-risk preschoolers. Early Education and Development. Quinn, J.M., Wagner, R.K., Petscher, Y., & Lopez, D. (in press). Latent change score modeling of developmental relations between vocabulary and reading comprehension. Child Development. Wanzek, J., Al Otaiba, S., & Petscher, Y. (2014). Oral reading fluency development of for children with learning disabilities or emotional behavioral disorders. Exceptional Children, 80, 187-204. Puranik, C., Petscher, Y., and Lonigan, C.J. (2013). Dimensionality and reliability of letter writing in 3- to 5-year-old preschool children. Learning and Individual Differences, 28, 133-141. Justice, L., Mashburn, A., & Petscher, Y. (2013). Very early language skills of fifth-grade poor comprehenders. Journal of Research in Reading, 36, 172-185. doi: 10.1111/j.1467-9817.2011.01498.x. Calhoon, M.B., & Petscher, Y. (2013). Individual sensitivity to instruction: Examining reading gains across three middle school reading projects. Reading and Writing, 26, 565-592. doi: 10.1007/s11145-013-9426-7. Petscher, Y., Cummings, K.D., Biancarosa, G., & Fien, H. (2013). Advanced (measurement) applications of curriculum-based measurement in reading. Assessment for Effective Intervention, 38, 71-75. doi: 10.1177/1534508412461434. Kim, Y.-S., & Petscher, Y. (2013). Considering word characteristics for spelling accuracy: Evidence from Korean-speaking children. Learning and Individual Differences, 23, 80-86. doi: 10.1016/j.lindif.2012.08.002. Kim, Y.S., & Petscher, Y. (2013). Language general and specific factors in letter acquisition: Considering child and letter characteristics in Korean. Reading and Writing, 26, 263-292. doi:10.1007/s11145-012-9367-6. Petscher, Y., & Justice, L.M. (2012). Diagnostic efficiency of preschool letter-naming benchmarks: Relations with first-grade literacy achievement. Journal of Educational Psychology, 104, 945-958. doi: 10.1037/a0027757. Reed, D. K., & Petscher, Y. (2012). The influence of testing prompt and condition on middle school students’ retell performance. Reading Psychology, 33, 562-585. Foorman, B.R., Petscher, Y., & Bishop, M.D. (2012). The incremental variance of morphological knowledge to reading comprehension in grades 3-10 beyond prior reading comprehension, spelling, and text reading efficiency. Learning and Individual Differences, 22, 792-798. Petscher, Y., Connor, C.M., & Al Otaiba, S. (2012). Psychometric analysis of the Diagnostic Evaluation of Language Variation assessment. Assessment for Effective Intervention, 37, 244-251. Reutzel, D.R., Petscher, Y., & Spichtig, A.N. (2012). Exploring the value-added of a guided, silent reading intervention: Effects on struggling third-grade students’ reading achievement. Journal of Educational Research, 105, 404-415. Pentimonti, J., Zucker, T.A., Justice, L.M., Piasta, S.B., Petscher, Y., & Kaderavek, J.N. (2012). A standardized tool for assessing the quality of classroom-based shared reading: Systematic assessment of book reading (SABR). Early Childhood Research Quarterly, 27, 512-528. Reed, D., Vaughn, S., & Petscher, Y. (2012). The validity of a holistically scored retell protocol for determining the reading comprehension of middle school students. Learning Disability Quarterly, 35, 76-89. Patton-Terry, N., Connor, C., Petscher, Y., & Conlin, C.R. (2012). Dialect variation and reading: Is change in Nonmainstream American English use related to reading achievement in first and second grade? Journal of Speech, Language, and Hearing Research, 55, 55-69. Petscher, Y., & Kim, Y.S. (2011). Efficiency of predicting risk in word reading using fewer, easier letter names. Assessment for Effective Intervention, 36, 256-266. Petscher, Y., Kim, Y.S., & Foorman, B.R. (2011). The importance of predictive power in early screening assessments: Implications for placement in the RTI framework. Assessment for Effective Intervention, 36, 158-166. Petscher, Y., & Kim, Y.S. (2011). The utility and accuracy of oral reading fluency score types in predicting reading comprehension. Journal of School Psychology, 49, 107-129. Justice, L.M., Petscher, Y., Schatschneider, C., & Mashburn, A. (2011). Peer effects in preschool classrooms: Children’s language growth is associated with their classmates’ abilities. Child Development, 82, 1768-1777. Cabell, S.Q., Justice, L.M., Piasta, S.B., Curenton, S.M., Wiggins, A., Turnbull, K.P., & Petscher, Y. (2011). The impact of teacher responsivity education on preschoolers’ language and literacy skills. American Journal of Speech-Language Pathology, 20, 315-330. Kim, Y.S., & Petscher, Y. (2011). Relations of growth trajectories of emergent literacy skills with development of conventional literacy skill achievement in Korean. Reading and Writing, 24, 636-656. Swanson, E., Wanzek, J., Petscher, Y., Vaughn, S., Cavanaugh, C., Tackett, K., Heckert, J., Kurt, G., & (2011). A synthesis of Read-Aloud interventions’ effect on measures of early reading outcomes among preschool through third graders. Journal of Learning Disabilities, 44, 258-275. Rasinski, T., Samuels, S.J., Hiebert, E., Petscher, Y., & Feller, K. (2011). The relationship between silent reading fluency instructional protocol on students’ reading comprehension and achievement in an urban school setting. Reading Psychology, 32, 75-97. Petscher, Y. (2010). Meta-analysis of the relationship between attitudes towards reading and achievement in reading. Journal of Research in Reading, 33, 335-355. Foorman, B.R., & Petscher, Y. (2010). Development of spelling and differential relations to text reading in grades 3-12. Assessment for Effective Intervention, 36, 7-20. Kim, Y.S., Petscher, Y., Schatschneider, C., Foorman, B.R. (2010). Does growth in oral reading fluency matter in reading comprehension achievement? Journal of Educational Psychology, 102, 652-667. Kim, Y.S., Petscher, Y., Foorman, B.R., & Zhou, C. (2010). The contributions of phonological awareness and letter-name knowledge to letter-sound acquisition: A cross-classified multilevel model approach. Journal of Educational Psychology, 102, 313-326. Johnson, E.S., Jenkins, J.R., & Petscher, Y. (2010). Improving the accuracy of a direct route screening process. Assessment for Effective Intervention, 35, 131-140. Foorman, B.R., Petscher, Y., Toste, J., & Lefsky, E. (2010). Reading First in Florida: Five year of improvement. Journal of Literacy Research, 42, 71-93. 25. Logan, J.A.R & Petscher, Y. (2010). School profiles of at-risk student concentration: Differential growth in oral reading fluency. Journal of School Psychology, 48, 163-186. 24. Johnson, E.S., Jenkins, J.R., Petscher, Y., & Catts, H. (2009). Evaluating the use of DIBELS in predicting first grade outcomes. Learning Disability Research and Practice, 24, 174-185. 23. Foorman, B.R., Torgesen, J.K., Crawford, E., & Petscher, Y. (2009). Assessments to guide reading instruction: Decisions supported by the new Florida system. Perspectives, 4, 13-19. 22. Katz, N., Petscher, Y., & Wells, T. (2009). Diagnosing Attention-Deficit/Hyperactivity Disorder in college students: An investigation of the impact of multiple informants on diagnosis and subjective impairment. Journal of Attention Disorders, 3, 277-284. 21. Al Otaiba, S. , Petscher, Y., Pappamihiel, N. E., Williams, R. S., Drylund, A. K., & Connor, C. M. (2009). Modeling oral reading fluency development in Latino students: A longitudinal study across second and third grade. Journal of Educational Psychology, 101, 315-329. 20. Lang, L., Torgesen, J.K., Vogel, W., Chanter, C., Lefsky, E., & Petscher, Y. (2009). Exploring the relative effectiveness of reading interventions for high school students. Journal of Research on Educational Effectiveness, 2, 149-175. 19. Crowe, E.C., Connor, C.M., & Petscher, Y. (2009). Examining the core relations between poverty, reading curriculums, and first through third grade reading achievement. Journal of School Psychology, 47, 187-214. 18. Catts, H.W., Petscher, Y., Schatschneider, C., Bridges, M.S., & Mendoza, K. (2009). Floor effects associated with universal screening and their impact on early identification. Journal of Learning Disabilities, 42, 163-176. 17. Petscher, Y., & Li, H. (2008). Measurement invariance of the Chinese Gifted Rating Scales: Teacher and parent forms. Journal of Psychoeducational Assessment, 26, 274-286. 16. Shapiro, E., Solari, E., & Petscher, Y. (2008). Use of an assessment of reading comprehension in addition to oral reading fluency on the state high stakes assessment for students in grades 3 through 5. Journal on Learning and Individual Differences, 18, 316-328. 15. Rosado, J.I., Pfeiffer, S.I., & Petscher, Y. (2008). The reliability and validity of a Spanish translated version of the Gifted Rating Scales. Gifted and Talented International Journal, 102-111. 14. Puranik, C., Petscher, Y., Al Otaiba, S., Catts, H.W., & Lonigan, C.J. (2008). Development of oral reading fluency in children with speech or language impairments: A growth curve analysis. Journal of Learning Disabilities, 41, 545-560. 13. Li, H., Lee, D., Pfeiffer, S. I., & Petscher, Y. (2008). Parent ratings using the Gifted Rating Scales – School Form: Reliability and validity for Chinese students. Educational and Psychological Measurement, 68, 659-675. 12. Roehrig, A. D., Petscher, Y., Nettles, S.M., Hudson, R.F., & Torgesen, J.K. (2008). Not just speed reading: Accuracy of the DIBELS oral reading fluency measure for predicting high-stakes third grade reading comprehension outcomes. Journal of School Psychology, 46, 343-366. 11. Li, H., Pfeiffer, S.I., Petscher, Y., Kumtepe, A, & Mo, G. (2008). Validation of the Chinese Gifted Rating Scales – School Form in China. Gifted Child Quarterly, 52, 160-169. 10. Nettles, S.M., & Petscher, Y. (2008). Development and validation of a principal implementation practices measure: The Principal Implementation Questionnaire. Journal of Personnel Evaluation in Education, 20, 247-259. 9. Pfieffer, S.I., Petscher, Y., & Kumtepe, A. (2008). The gifted rating scales-school form: A validation study based on age, gender, and race. Roeper Review, 30, 140-146. 8. Pfeiffer, S.I., & Petscher, Y. (2008). Identifying Young Gifted Children Using the Gifted Rating Scales- Preschool/Kindergarten Form. Gifted Child Quarterly, 52, 19-29.